I am excited to write a review about another amazing powder cleanser which I have been using for a much longer time than thought. 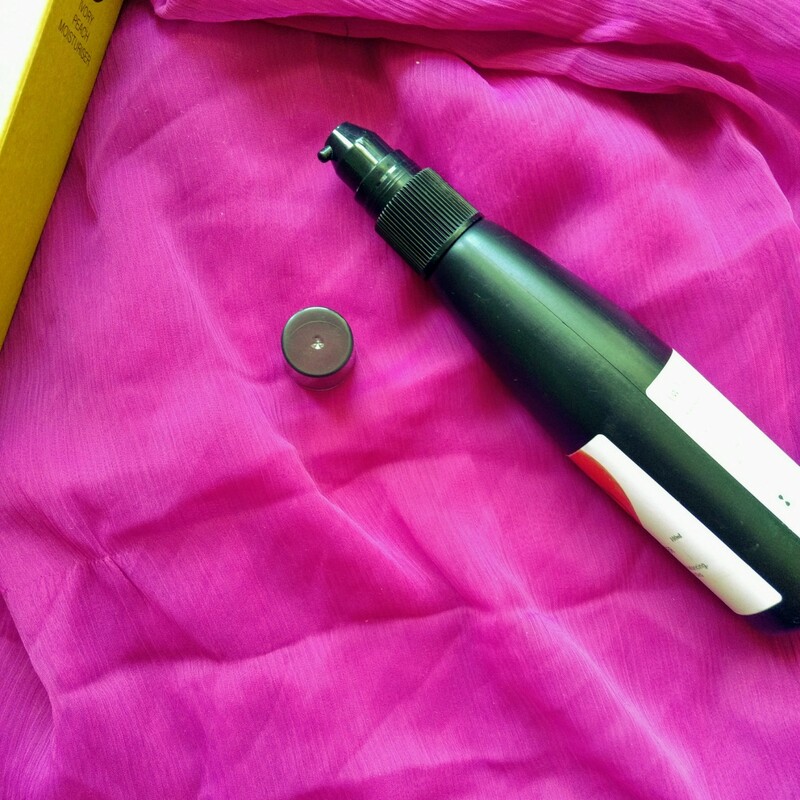 Let's hop onto the review to check whether the product lives upto it's claims or not. 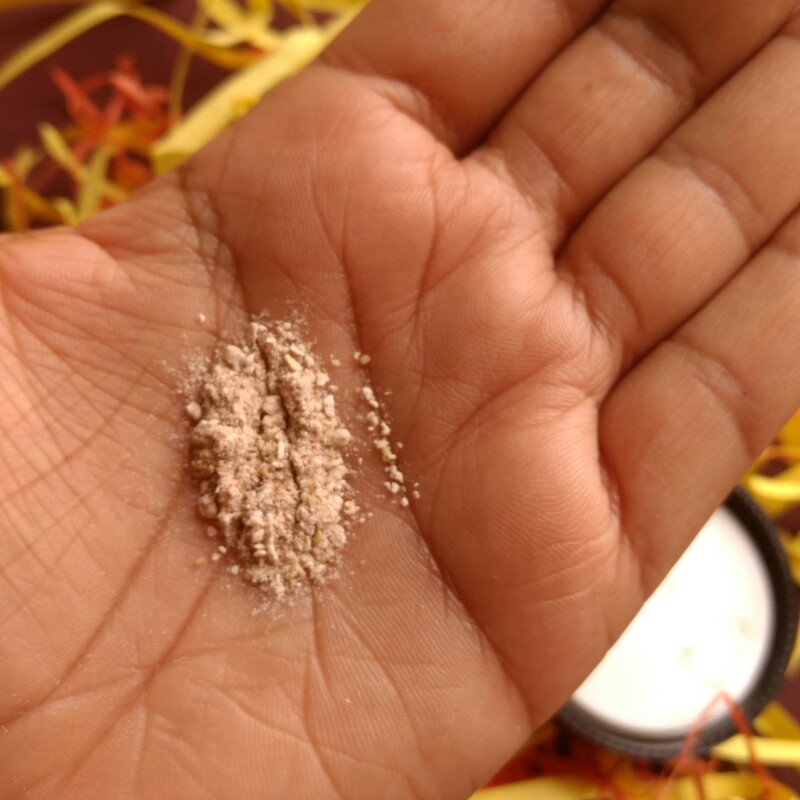 Brand Claims - Tejas - Vettiver root and Ranawara flower Exfoliating Cleanser cleanses and nourishes to reveal a clear, radiant, glowing complexion. Formulated with Indian ranawara flower, Indian sweet rose and botanicals, this face cleanser offers astringent benefits to tighten and diminish the look of pores, while it effectively removes dead dermal cells and impurities, while also hydrating as it locks in moisture to revitalize and promote healthy, supple skin. Ideal for these concerns : Free radical damage, acne, sun-tan, large pores. Ideal for these Skin Types: Oily skin, normal skin,combination skin, Acne-prone skin, Mature skin. As seen in the pictures, the product is housed in a plastic tub which is reusable once the product gets over. I have had no problem while using the tub. Rather I like how sturdy it is. 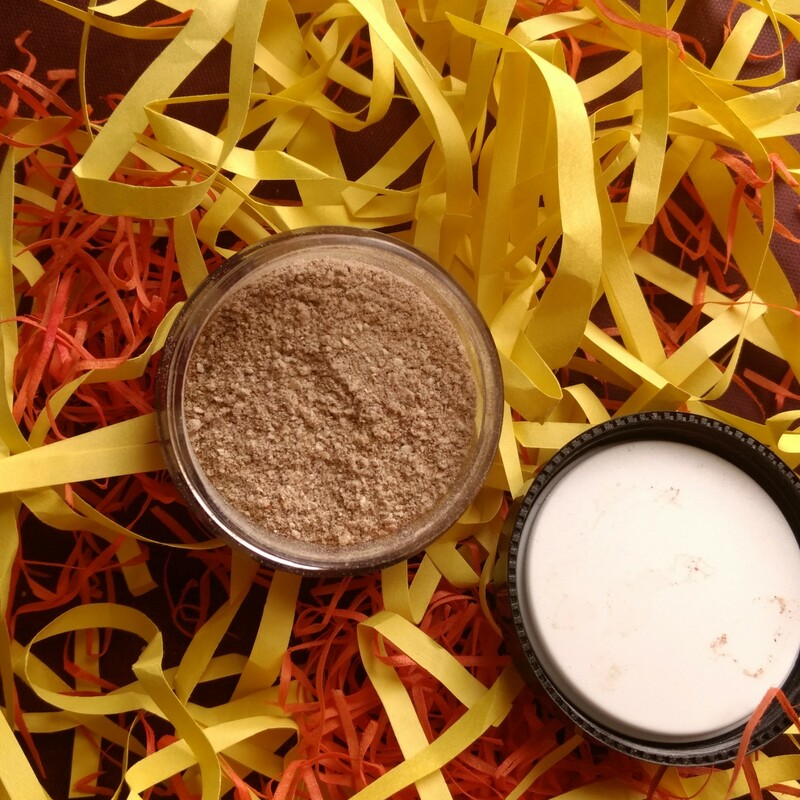 Coming to the texture of the cleanser, it's a finely milled one with rice powder like texture. When mixed with water it doesn't form a smooth paste it forms some chunk sort as the cleanser tends to soak up the water. We need to add more water to make a smooth paste. 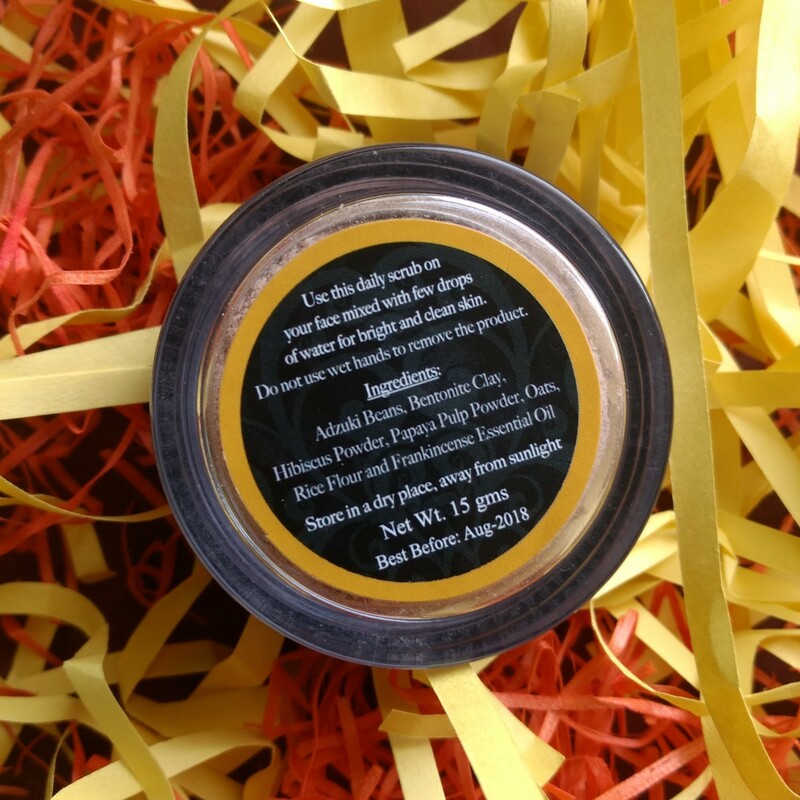 After using the product as a cleanser the skin feels clean, soft and smooth. I have even seen reduction in white heads due to mild scrubbing effect of it, when used regularly for 2 weeks. The cleanser has a good texture which is neither all powdery which just glides on the skin nor is just chunks of scrub particles which just end up scrubbing without cleansing. The cleanser does a good job of cleansing without stripping the face sebum and without being harsh at all. It leaves the skin smooth and soft. I have even used the cleanser as a face pack, as a thick layer. After leaving the face pack for a good 20 minutes the appearance of black heads significantly lessens, skin becomes clear and radiant. I like using the product both as a cleanser and face pack. The product has even reduced my under the skin acne (new skin tantrums 😣) which is a hormonal thing for me every month. Price, Shelf life and Availability - 485 INR for 80 gms with a shelf life of 4-5 months. But I think it will last longer if we don't let water enter it and keep away from moisture. As a powder cleanser lover, I love everything the Skinsense Natural Luxury Tejas Skin Glow Cleanser- Face Pack has to offer, it's fragrance, it's texture, it's double duty efficiency. Moreover I liked the fact that it helps in minimizing the appearance of black heads. I like to use it both as a cleanser as well as face pack equally. If you are into powder cleansers go grab this fast and even if you are not into, I would recommend grabbing this. We all know how difficult gifting is! At least for me it is. How and what gift to choose, wether the person whom am gifting will like it or not? Sometimes I like some gifts but not the colour combination they have, sometimes they are out of my budget, sometimes I run out of gifting ideas. Recently I thought of gifting my husband something, because of my fractured leg, he had a busy and hectic time and was juggling his office and my doctor appointments and all. I earlier had a chance to get our wedding picture printed on a canvas amd I thought of giving it a try. Since with a fractured leg I couldn't go out and but something I opted for online gifting solution. I had always wanted to gift my husband a customized my with his picture or a T-shirt. But then t-shirt does wear off and with a little kid in the home the mug too might break. 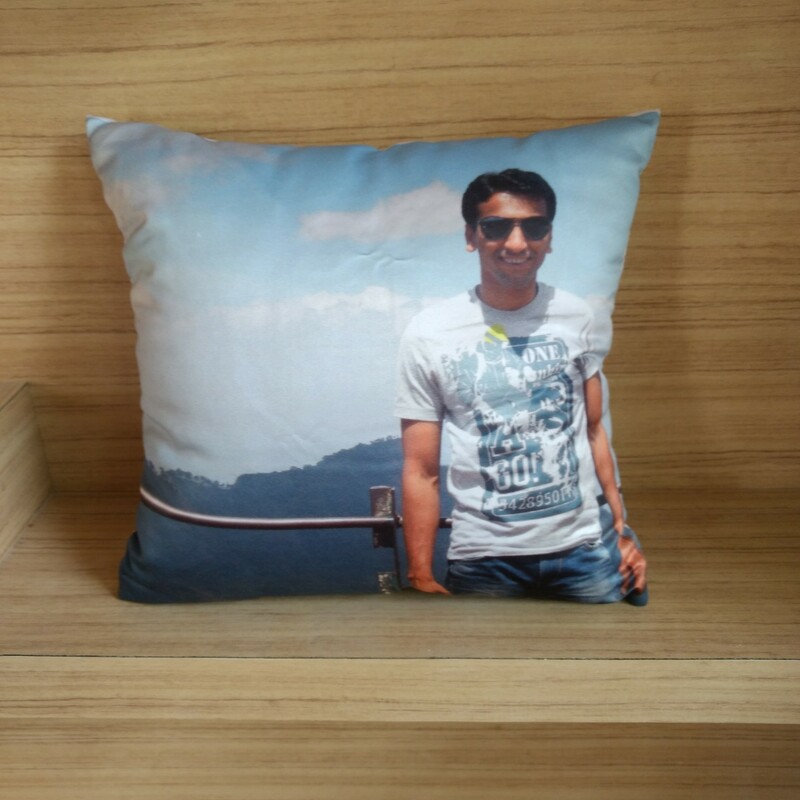 So I thought of gifting him a pillow with his own photograph. I placed my order on Canvas Champ and headed straight to the pillow section. Since we travel a lot I thought of gifting him a pillow so that his neck doesn't pain. 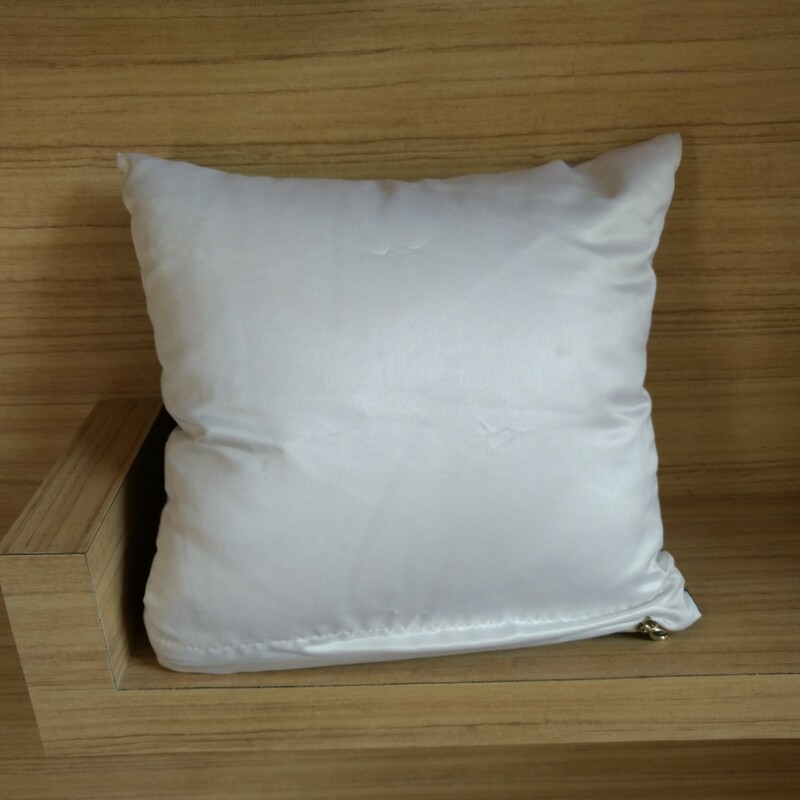 I selected a small pillow 12"X12" pillow so that it would be easier to carry around while travelling. Canvas Champ also has an option to select the pillow size according to your preference. I then selected the image which I wanted to be printed on it. Once we select an image, we can also choose the back colour of the pillow. The options to choose back colour of pillow are white, yellow and grey (not dark colours though, we get to see the actual colour while making a selection). Afterwards we will also be shown a previous of the pillow so as to get an idea. After selecting everything, we proceed to checkout. 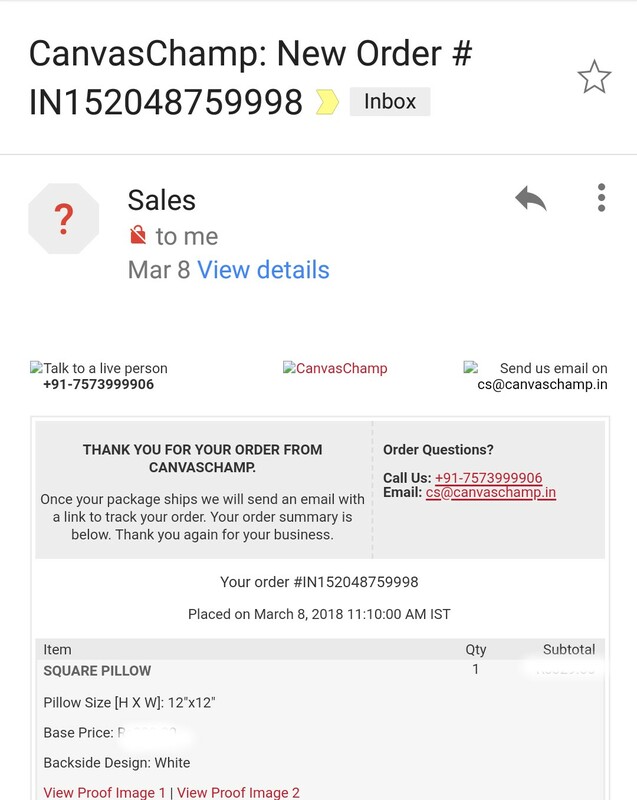 I placed my order on 8th March 2018, the pillow went for production house on 10th March and my order was shipped on 15th March 2018. I received my order in 2-3 days after shipment was dispatched. At every point of product status update, I received an email which kept me updated about my order. The product came in safely packed box and to my surprise my husband was at home to receive the pillow. I told him to open the package, else otherwise my son does that, lol. He was taken aback and happy after seeing his favourite picture on the pillow. My son immediately grabbed the pillow and was onto bed acting like he had fallen asleep 😂😂. 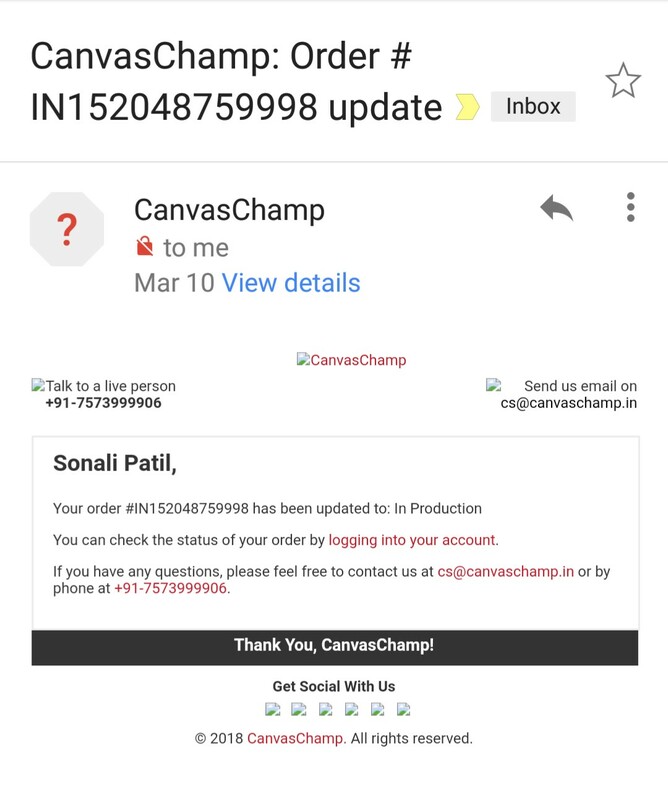 Overall speaking my shopping experience with Canvas Champ was very easy and smooth. I had even called their customer care number as my friend also wanted to place an order for the printed pillow, I was happy with the interaction of customer care. I would highly recommend you all to give Canvas Champ a go for your personalized gifting solution. Another month brings in new VanityCask Box. 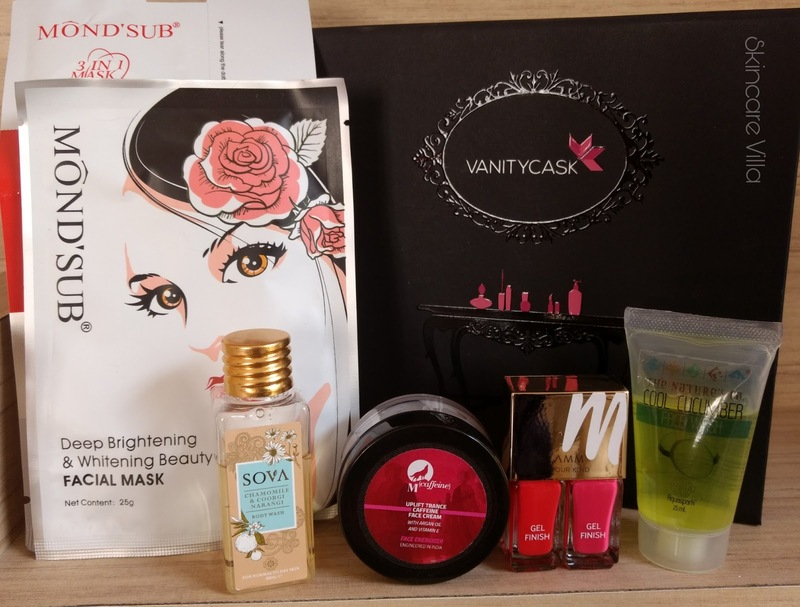 VanityCask box is a luxurious beauty subscription box which allows us to try some luxurious brand products before trying out the full sizes. Let's head start to the curation story and the contents. 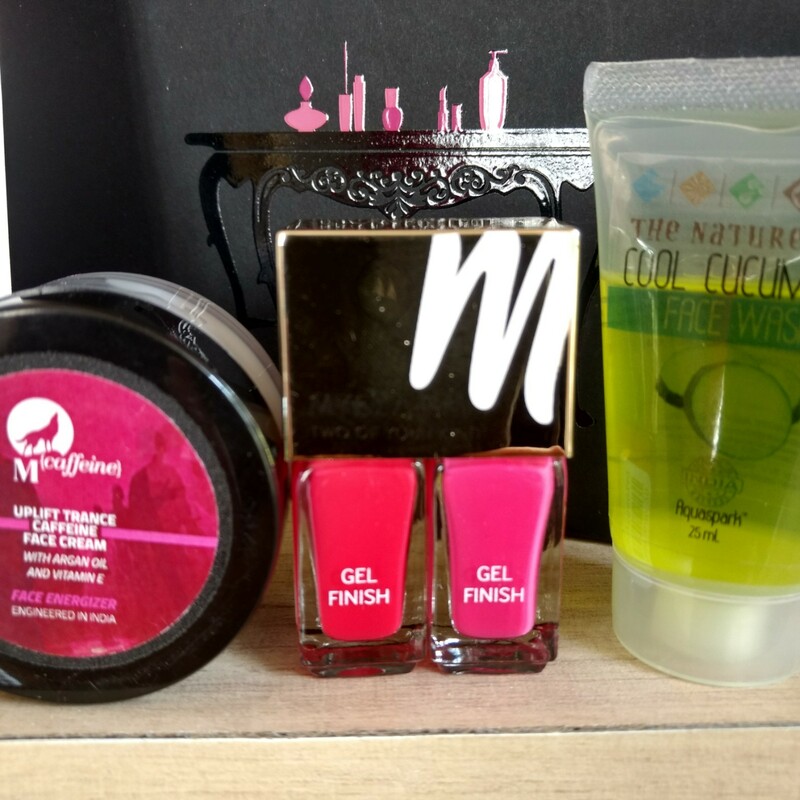 Get rid of all your beauty woes with VanityCask's Shades of April Edition! Boost your gorgeous skin with Sova Chamomile and Coorgi Narangi Body wash. Brighten up your lackluster skin with Mcaffine Uplift Trance Face Cream. Indulge and pamper your skin with Mond'sub 3D Pearl Mask with Vitamin C and Deep Brightening and Whitening Facial Mask and The Nature's Co Cool Cucumber Face Wash. Finally, get the ultra shiny glamorous and sensational nails you have always wanted with Myglamm Two Of Your Kind - Long Lasting Enamel Duo. 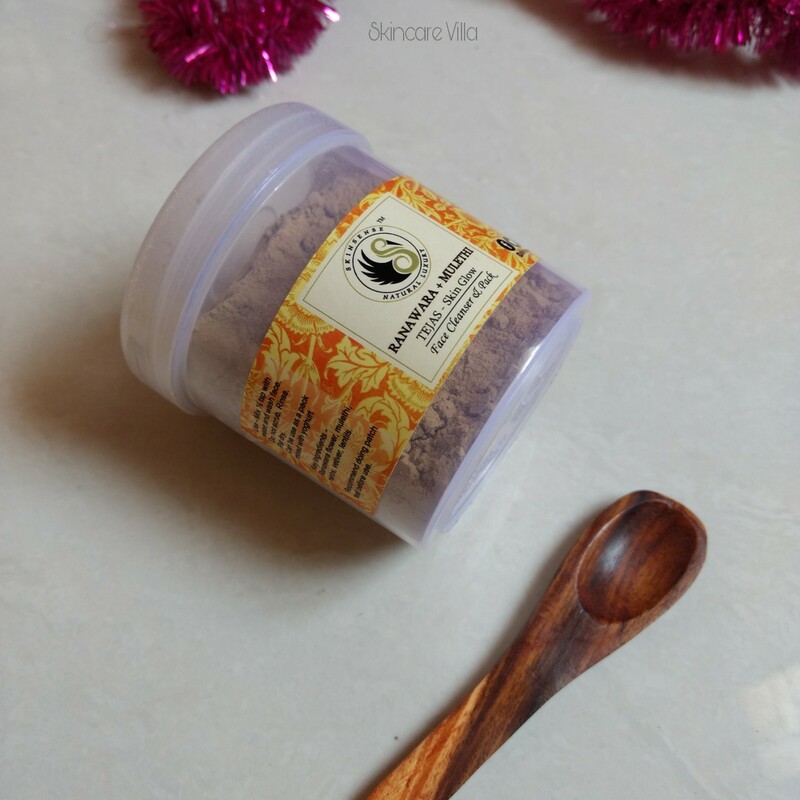 So am not going to talk about the ingredients and how well the products fare and what all they cost, I would like to write this post a little bit differently this time. 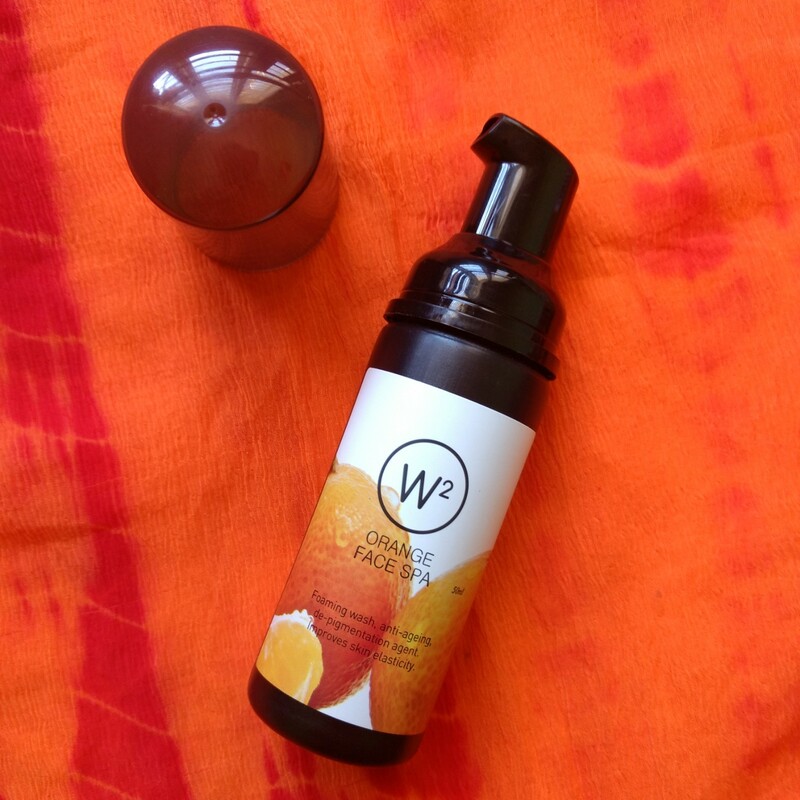 With the summer being around, The Nature's Co Cool Cucumber Face Wash is a perfect product for the VanityCask Box. 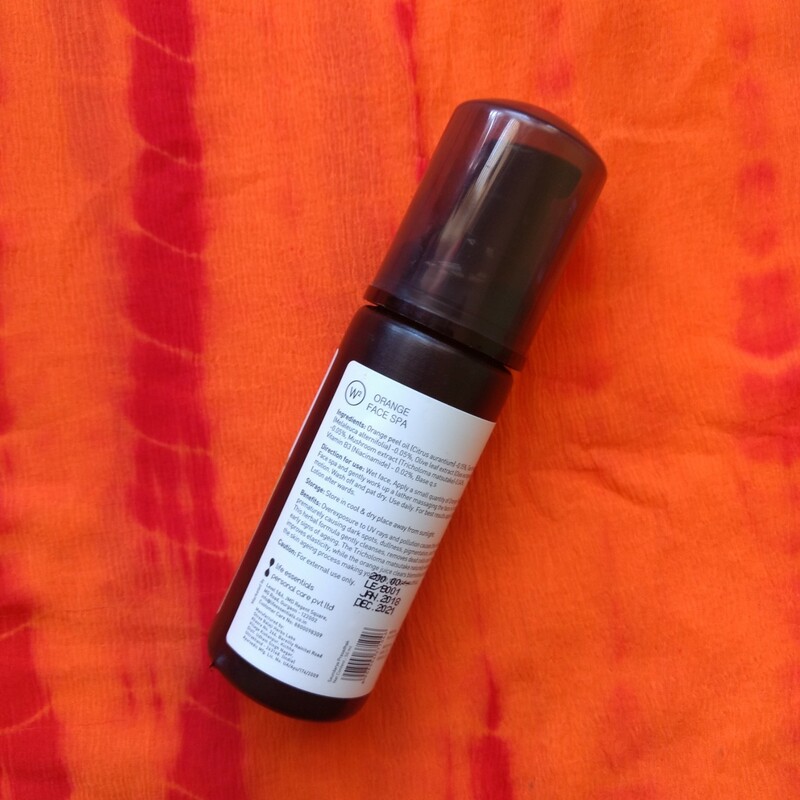 The body wash from Sova, a luxurious brand, is also a good pick keeping summers in mind. The Mcaffine Uplift Trance Cream is a light weight cream which gets absorbed easily into the skin without leaving an oily or greasy residue, this again is a perfect pick. The Mond'sub masks are also amazing keeping in mind the suntan and scorching summer in mind. The Myglamm Long Lasting Enamel Duo shades are quite good keeping the theme in mind. The VanityCask Boxes, are packed in a sturdy black box which are very useful and reusable for storing your skincare or makeup or haircare products. They make a perfect travel companion and not to mention the pink, silk potli bag. What I would like to suggest to VanityCask Box team would be including a variety of products from different brands as well variety of products. From past three months we have received the Nail Enamel Duo and mask sheets. There are many other unexplored brands and types of products like Facial serum or Lip serum or some other interesting types. Including those might create a curious component for the subscribers. The brands choice and all is entirely good, especially The Nature's Co, Sova and Mond'sub brands. What is lacking is different type of products, something exciting and worth the 999 INR price tag. I like the subtle fragrance of the cleanser, however I don't like the addition of essential oils to cleanser which I end up using twice or thrice a day. Overall a good cleanser to start with the powder cleansers. My all time favourite and a cleanser which makes the skin glow instantly. I might repurchase this once I empty all of my powder cleansers. I love love love this massage cream. It's amazing chocolate fragrance not only make you feel good but the cream also works from within to give you a youthful skin. The cream also reduces acne marks drastically. I am going to stock up on this soon. I love the refreshing fragrance of this face wash but at the same time I also love how gentle yet effective the cleanser is. I would like to try a new variant next time. I am currently using this sunscreen even when am indoors. The sunscreen is good with SPF 50 and has suited me well. 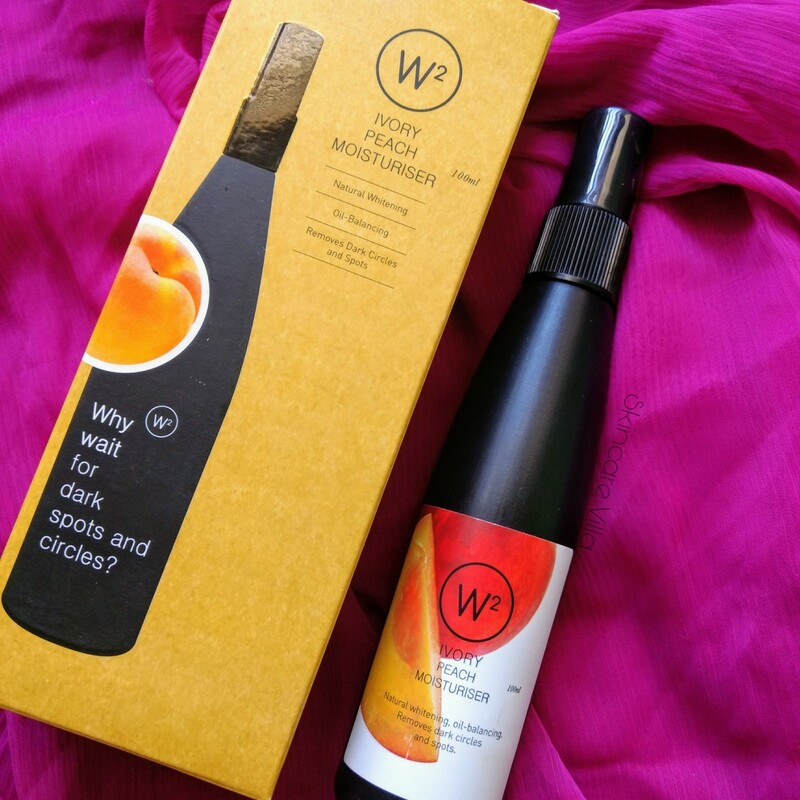 It goes well with the W2 Peach Moisturiser as well as any light weight moisturiser. I have already stocked up two tubes of this sunscreen. 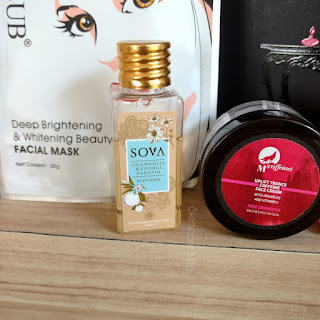 My holy grail face mask for deep cleansing and acne reducing. I have another big tub of this mask to empty and am not stocking it up again. So that was my tiny empties list. Hope to empty products over a couple of coming weeks. Till then you all take care and enjoy life. 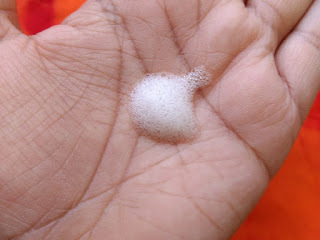 My undying love for powder cleansers is increasing day by day with each new cleanser am trying. The more variety am trying the more am convinced about the benefits of powder cleansers. 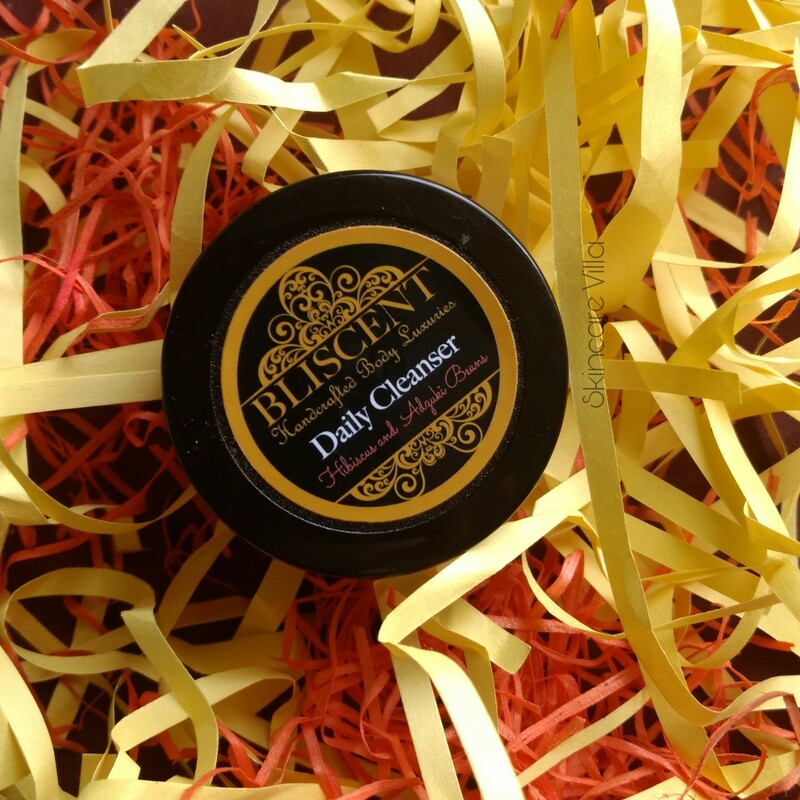 Today we will be talking about Bliscent Daily Cleanser which I had received in one of the VanityCask Boxes. I love the packaging, classy and simple at the same time. 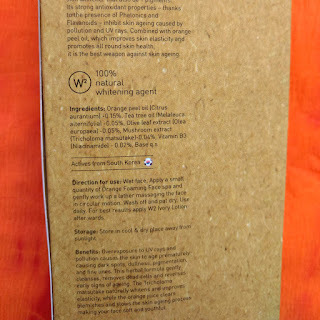 The packaging carries all the product information with it. I like the spill proof extra lid with the tub. The product is majorly white in colour with some light pink particles into it. The product is grainy in texture wherein we can find while rolled oats too. I couldn't use the cleanser nicely due to the big oats particles, wish they were a little bit milled. 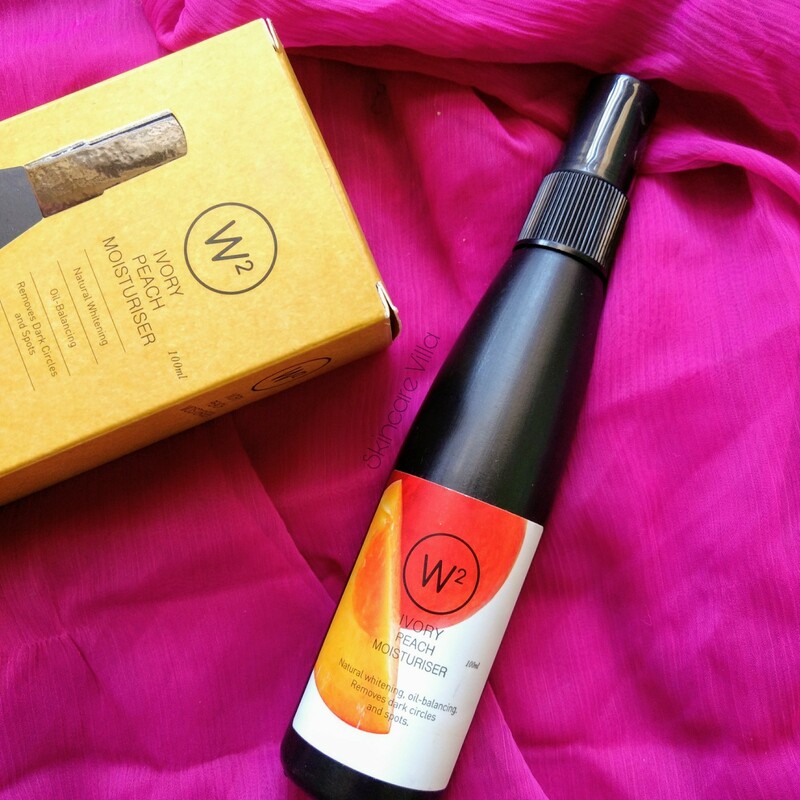 The fragrance of the cleanser is exotic and is due to the Frankisense essential oil in it. Once mixed with water the cleanser forms a smooth paste but when we try applying it to our face, it keeps on falling. The cleanser does the job of cleansing very perfectly while leaving a smooth and soft skin. It removes dirt, sweat as well as excess oil. It gives a hydrated look to the skin while making it fresh and clean. Due to it's slightly grainy texture it acts as a mild scrub too. It's a good cleanser if you are looking for a budget friendly one, however I don't like the addition of essential oils in a daily cleanser given the fact that I end up using powder cleansers three times a day now. As a sucker of powder cleansers I love using the Bliscent Daily Cleanser. 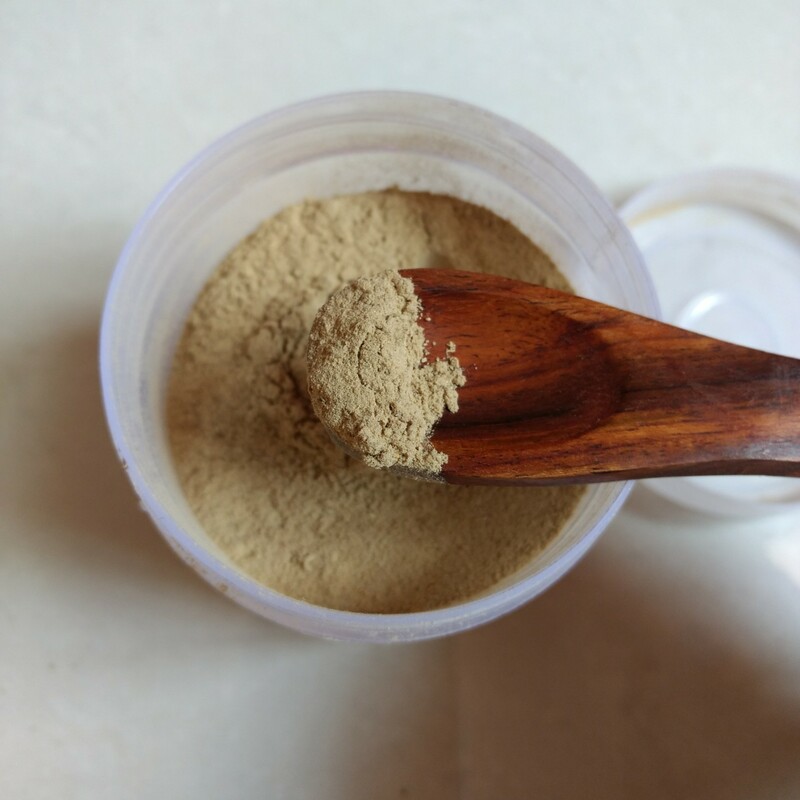 But if you are new to powder cleansers then this might disappoint you in terms of fragrance or in case of product texture falling down while applying the cleanser. I also like to avoid essential oils in cleansers, as I use them thrice a day. If you like using powder cleansers then go for it. Long back I had tried W2 Facial Kit and it has given me a glowing skin. 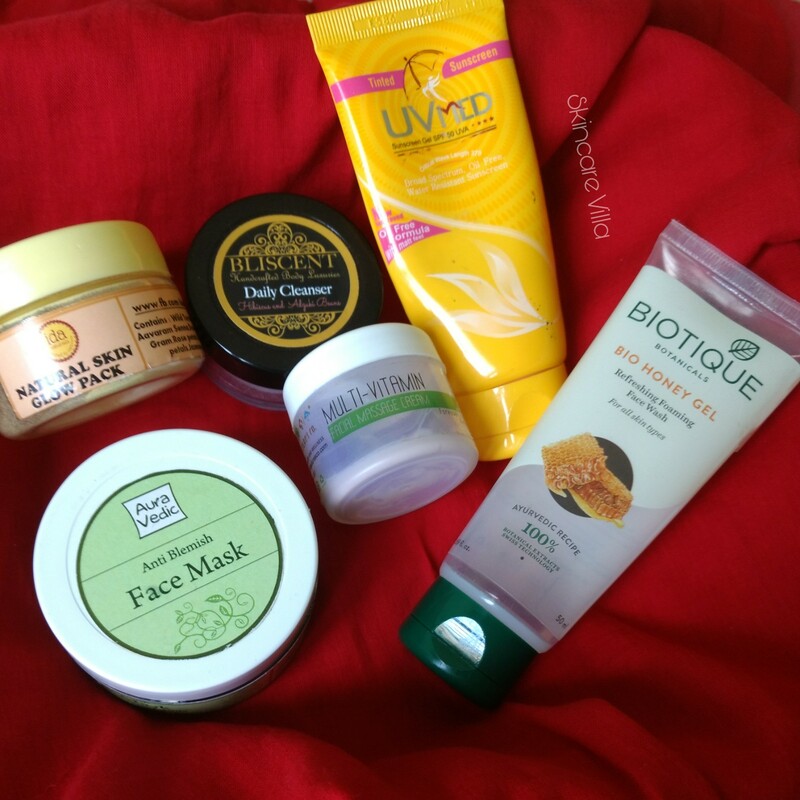 As usual I forgot to review the facial kit on my blog. 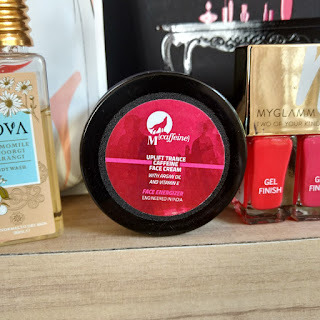 So when I received some products from the brand I was really excited to use and review them. So let's get started with the review. Also let me tell you all I have used the W2 Ivory Peach Moisturiser for one month evedyday during day and sometimes at night. 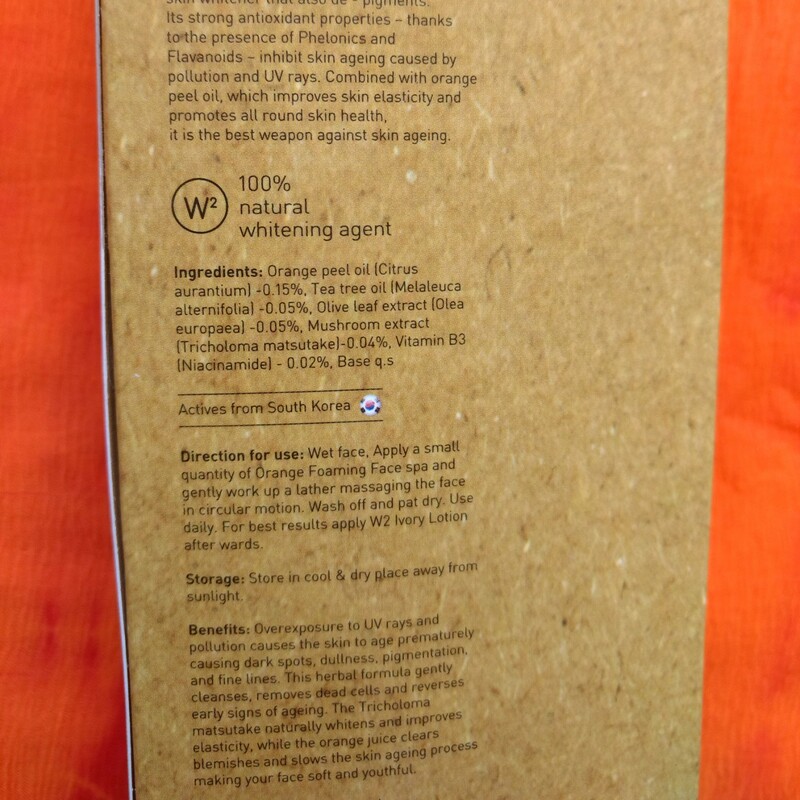 Brand claims - Why stay content with dull and dry skin when you can look like peaches-and-cream instead ? A natural source of Vitamins A, C, K, Mg,Beta Carotene, Peach removes dark spots and dark circles naturally. It also fights and prevents acne and gives protecton against UV rays. 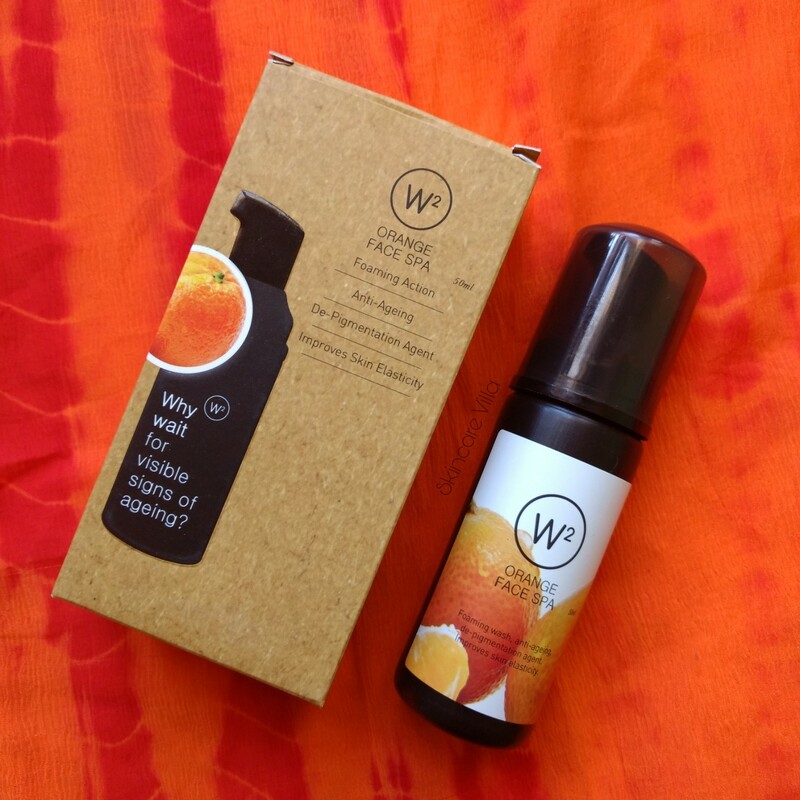 Combined with the rare species of mushroom Tricholoma Matsutake, a 100% natural skin-whitening and anti-ageing agent, this lotion, true to its name, will leave you with a peaches-and-cream complexion. I am not going to talk about the packaging, as I have a lot to tell you about the effectiveness of the product. 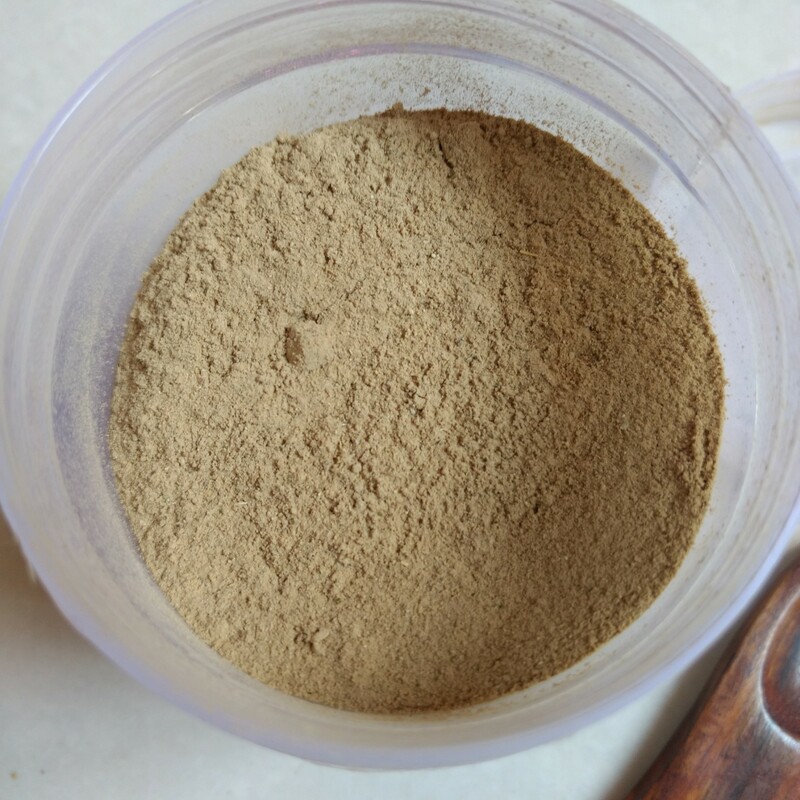 The product is milky white in colour and has a little runny consistency. It is neither thick nor thin in consistency. The product gets dispensed easily and I need just 2 pumps for my face and neck. The product gets absorbed easily and even works good underneath a SPF (I use UVMed SPF 50). 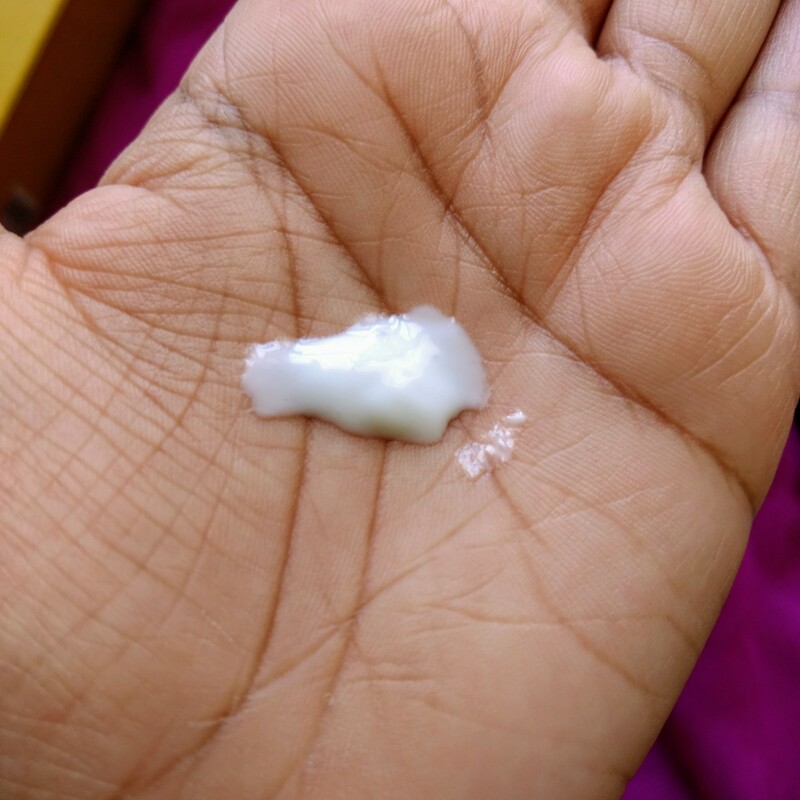 The moisturiser doesn't feel greasy or oily on the skin and sinks instantly into the skin. Now coming to the effectiveness of the moisturiser, I am taken a back by it's performance. I experience 1-2 breakouts each month as my acne is hormonal. So I don't expect any product to prevent my acne 100%. But this moisturiser after using for one month, I experienced zero breakouts, it prevented even the hormonal acne which I get no matter what I do. Also the moisturiser gets absorbed easily into the skin and immediately gives a plump and even toned skin. Sometimes the I add 2-3 drops of Prakrta Serum in the moisturiser and still the moisturiser doesn't feel heavy. I was surprised by this performance of the moisturiser also. I cannot say anything regarding the anti aging and UV protection of the moisturiser, I don't have any fine lines or wrinkles on the face and I use a separate SPF on top of a moisturiser during day. Price, Shelf Life and Availability - 350 INR for 100 ml with a shelf life of 3 years. Available on Amazon, Why wait website (currently having a 20% off on brand website). Overall speaking I have found my holy grail moisturiser which not only prevents my hormonal acne but also gives me plump and even toned skin. I am sure to repurchase this one. Even if I try some other day moisturisers, I might keep coming back to this one. I would highly recommend W2 Ivory Peach Moisturiser for acne prone skin which also works great for beauties who follow layering of Skincare products.